A firm facing 142 Consumer Protection Act charges has also been embroiled in a court dispute with a 79-year-old woman with Alzheimer's disease whose son alleges was too unwell to legally enter into a contract with Ontario Energy Group. A firm facing 71 Consumer Protection Act charges has also been embroiled in a court dispute with a 79-year-old woman with Alzheimer's disease whose son alleges was too unwell to legally enter into a contract with Ontario Energy Group. Sybil Hamilton was diagnosed with Alzheimer's in 2012. 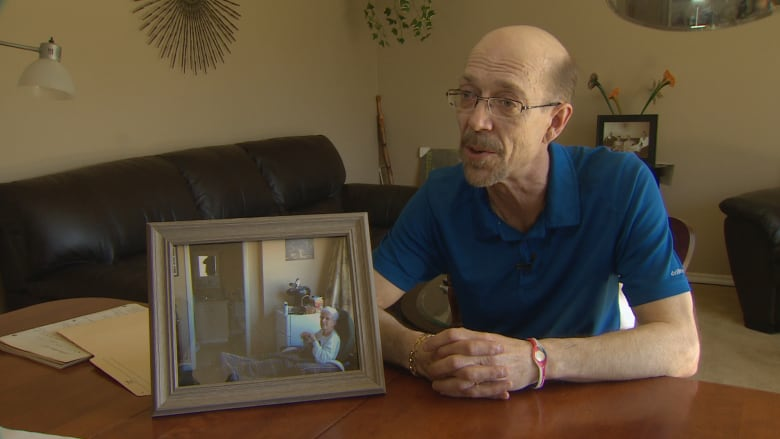 Her son, Scott Hamilton, says if you were to ask her about the day representatives from Ontario Energy Group (OEG) showed up at her door in Ottawa nearly two years ago, she wouldn't be able to tell you anything about it. "They completely took advantage of my mom," Hamilton said in an interview at his Trenton, Ont., home. "I mean, there's no way you could have had a five-minute conversation with my mother and not know that there was something wrong." 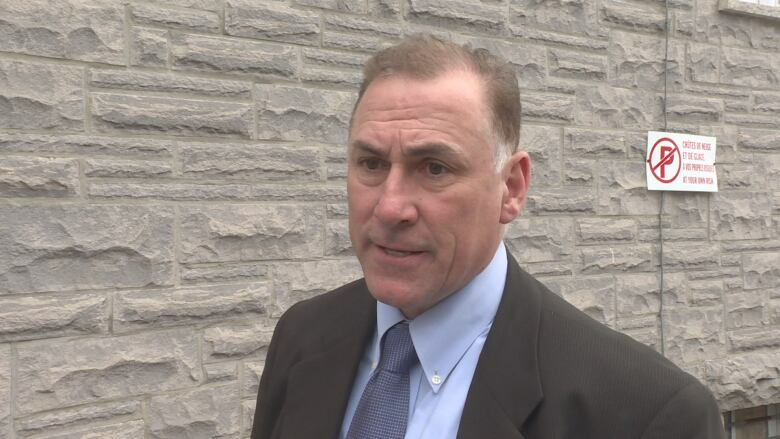 Hamilton said he felt some relief when he learned OEG and its director, Eugene Farber, were charged Friday following a provincial investigation that was sparked by hundreds of complainants against the door-to-door sales firm. A statement sent to CBC Toronto on Friday from the company's lawyer, Pradeep Chand, says their "client fully intends to defend the allegations in a court of law and categorically denies any regulatory or civil liability." Although the Hamiltons are not included in the Consumer Protection Act case, Scott said he believes the charges should have been laid against OEG "a long time ago." 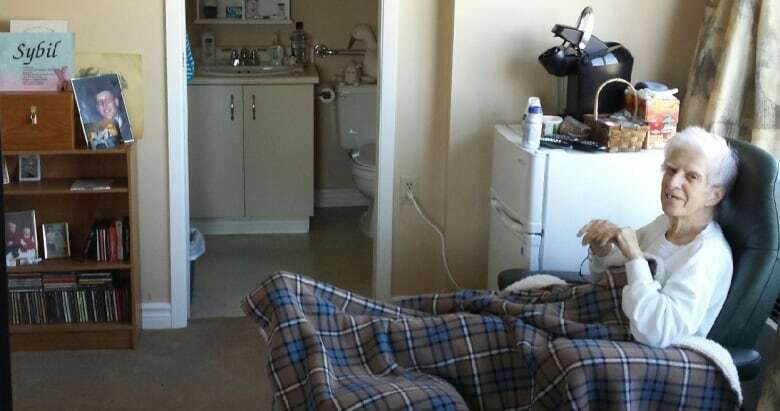 He and his mother have been caught up in a legal battle with the firm since February 2016, after he discovered his elderly parent had been locked into two separate furnace and air conditioner rental contracts with the company since July 2014 — all without his knowledge. Fighting back tears, Hamilton told CBC that his mother has no recollection of signing agreements with the company when they came to her Ottawa home on two separate occasions. The Trenton man says he contacted OEG, explained his mother's condition, then told them he had power of attorney and wanted to cancel the contract. He never got a response, he said. "I said ... just put her back in the same position she was in before you guys got to her door," Hamilton said. "No answer for months." After seeking legal advice, the man launched a lawsuit against the company in small claims court, seeking $25,000 in damages for removal and replacement of equipment from OEG and recovery of monthly rental charges. "I expected them to say, 'Oh, I'm sorry we made a mistake ... what are we going to do to fix this?' But I never got that." Instead, Hamilton said the company responded with its own lawsuit, treating the claim as a signal that his mother would no longer be honouring her obligations under the signed agreements. The suit alleges Hamilton's mother signed the contract willingly. As a result of the "breach of contract," OEG told the Hamiltons it would be seeking a total of $43,702.29. That includes estimates for the company's monthly furnace rental charges until July 22, 2029, and for estimated air conditioner rental fees until April 10, 2030. "They're trying to sue me for future losses. It seems desperate on their part," Hamilton said. 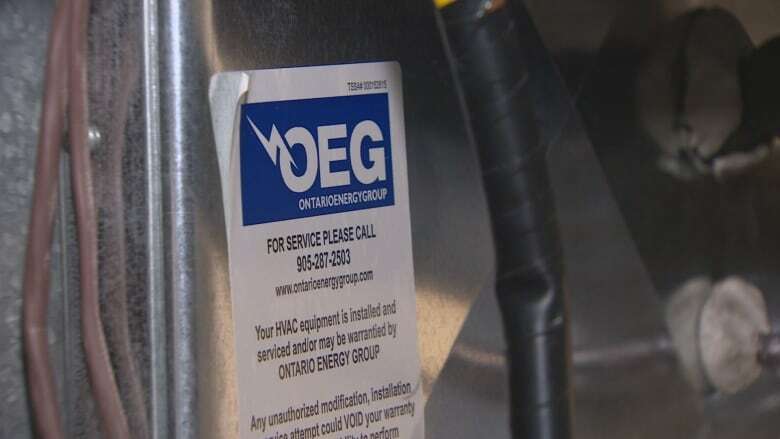 Paralegal John Robinson is dealing with as many as 10 cases involving the Ontario Energy Group and says he's had inquiries from a number of other people as well. Paralegal John Robinson represents about 10 cases against OEG, including the Hamiltons. Because Hamilton was acting as his mother's power of attorney when she signed the rental agreements, "she wasn't in a position to sign the contract," the paralegal said. "We're alleging they didn't seek to find out whether she had the capacity to make that decision in the first place." A doctor's note included in the Hamiltons' statement of claim found that Hamilton's mother "could not fully understand the implications and consequences of a contract or signing a contract" at the time she entered into an agreement with OEG. The firm sent another statement to CBC on Wednesday, saying they "will not provide any comment on these issues" while they are before the court. The first court hearing for the Consumer Protection Act charges will take place May 27. The 142 charges that OEG and the company's director face — 71 each — stem from 20 complaints from across Ontario. The first complaint was lodged in 2009. When asked why it took so long for the province to act, spokeswoman Anne-Marie Flanagan said the ministry needed to "take time" to do the investigation and get it right. She did not say when investigators began looking into the reports about the firm. The province has also issued an immediate compliance order, but Flanagan could not say exactly how the ministry would enforce that. Each charge carries a maximum fine of $250,000 for companies and $50,000 for individuals. Farber could also face up to two years in prison if convicted on any of the charges, none of which have been proven in court. It's unclear when a civil hearing between the Hamiltons and OEG could take place. But Hamilton says he plans to continue fighting for his mother. "Everybody's got a mom and dad and you ... never want to see this happen," Hamilton said. "You just never do."